James Wan has finally found a director to helm the big screen adaptation of Malignant Man, which is based on a comic book that he co-created. 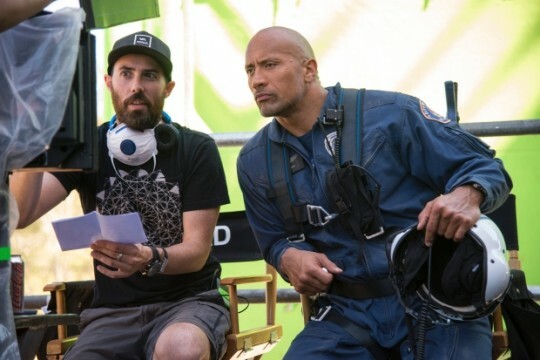 The man for the job seems to be San Andreas‘ Brad Peyton, who THR reports has come aboard the sci-fi/action project, with Wan acting as producer. While it would have been nice to see Wan take the helm here, as he was supposed to, Peyton isn’t a bad choice at all. No stranger to action or blockbusters, the director is on the up and up in Hollywood, having also secured the director’s chair on Rampage last summer, a hot project that will once again reunite him with Dwayne Johnson. Aside from that, he’s still got sequels in the pipeline for both the aforementioned San Andreas and Journey 2, which will both star Johnson. With a director now in place, we should start hearing about a cast for Malignant Man very soon. Until we do, though, drop a comment below and let us know if you’re excited to see Peyton helm this one.